A violinist for talent. A composer for passion. A soldier in the Great War by chance. Born in 1878, Lucien Durosoir enjoyed a brilliant career as a violinist studying in Germany with Joseph Joachim and Hugo Hermann. It was only twenty years old as he started to give concerts across the Europe, performing works by French and German composers. But WWI brought an end to his career, as he was enrolled to serve the 5th Division in 1914. 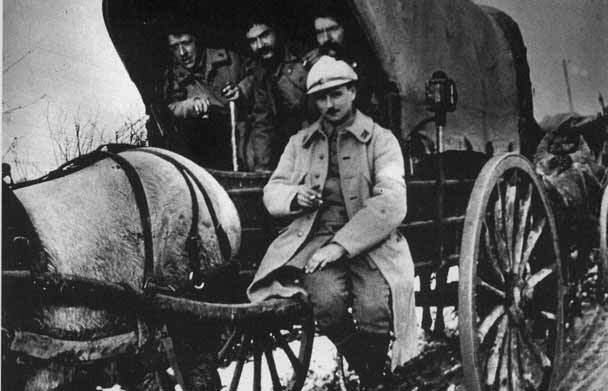 In the trenches Durosoir was a simple soldier, facing all misadventures and atrocities of the conflicts. Displaced after a year behind the battle line as stretcher-bearer, he attracted the attention of General Charles Mangin, a great music lover, while playing during a funeral service. Mangin encouraged him to create an ensemble: Durosoir as first violin, Henri Lemoine as second violin, André Caplet with a viola and Maurice Maréchal with his renowned “poilu”, so the nickname of his cello, a curious instrument made from the wood of a gunpowder chest. They were a free music ensemble, playing sometimes as duo, sometimes as trio, quartet or quintet. It is someway puzzling to figure out, how these musicians were able to play and enjoy music in the middle of the First World War, asking for new musics to play to their relatives at home, then performing among the soldiers. We can maybe perceive something if we read the letters they wrote during those years, especially Durosoir’s and Meréchal’s ones, collected few years ago in an interesting book (Deux musiciens dans la Grande Guerre, Paris, 2005). To learn something more about these musician – especially Durosoir, Meréchal and Caplet – you can have a look here. Letters, those of Durosoir and Meréchal, that disclose us the special point of view of the musician, the one who plays music, not the one of a more or less occasional listener, and so enable us to understand how complex was the relationship between music and Great War. In between the fight, the death, guns and pigeons, gas attacks and diseases, these musicians were able to write and play together. Instead of wondering how great music is, how it is an “universal language”, can we imagine what could these soldiers-musicians feel taking in their hands their instruments, not a gun? Can we imagine it, in our own hands? Even if in a de-potentiated way, this was the same feeling of the simple soldiers, singing aloud their trench songs. Thinking about music and the Great War should be not just a matter of listening to, but also an attempt to imagine why and how music was made during the conflict, to investigate it also at this existential dimension. Lucien Durosoir came back home February 1919. He was one of the few who fought the whole WWI and survived it. But he never recovered from the trauma. He settled down in a small village, where he composed till his death in 1955. Among the numerous compositions written in 1920 and 1921 – which has to be considered someway the result of the musical cooperation with the composer Caplet during the Great War – we’d like to invite you to listen to his Aquarellle, the fourth for example, entitled Berceuse. Just listen to it, and think about music and WWI.